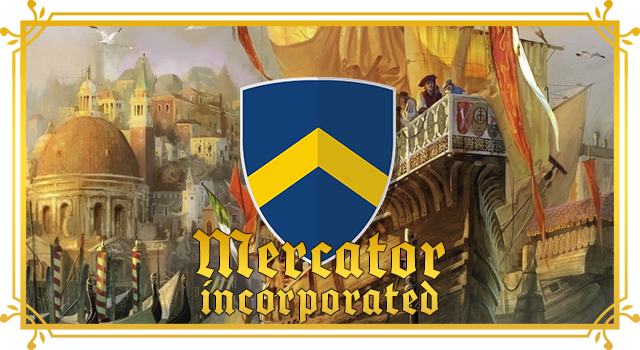 The Mercator Trading Company is a merchant company and aristocrat House dedicated to enabling long-range high-volume trade throughout Elyria. To achieve this, we are building a network of crafters, gatherers and customers throughout the kingdom. By connecting them all into one network, we can leverage scale benefits to ensure that necessary goods will be widely available. Currently, our company is divided into three branches. The first branch will specialise in trading and transporting bulk goods. As such, we will not directly sell our goods through stores, instead opting for supplying the merchants who run them and providing aristocrats and nobles with the materials required for their projects. This way, we can build our network without forcing the local merchants out of business. The second branch is our security force, the Lions of Mercator. They are an apolitical combat force dedicated to keeping our merchants and couriers safe, both out in the wilderness and inside the bustling trade hubs of the kingdoms. Our third, most ambitious branch involves founding a network of branch companies specialised in various crafts and arts. Essentially, we will set up industries to ensure that all necessary products will be available in any county incorporated in our network. By intertwining this with the first branch, we can rapidly spread and produce new inventions as opposed to the natural, slow spread of technology. It will also allow us to leverage the benefits of large-scale production to ensure a consistent supply of goods at very reasonable prices. But that’s not all there is to it. By bundling the forces of artisans, merchants and various other professionals under a single umbrella, we can create a hierarchy in which a dedicated individual can rise far higher than any guild focused on a specific craft could ever allow for, in both fame and authority. And finally, by cutting out almost every middle man this system will greatly benefit the customer. Once we have set up our network and gathered some capital, we will also offer various financial services ranging from loans and investments to safe storage and banking services through any of our offices. Currency exchange will also be available if that will be of importance in the game. Most of this is again aimed at the nobility and aristocracy, but the loans and investments will also be available to any entrepreneur, provided they can sufficiently prove the feasibility of their plans. 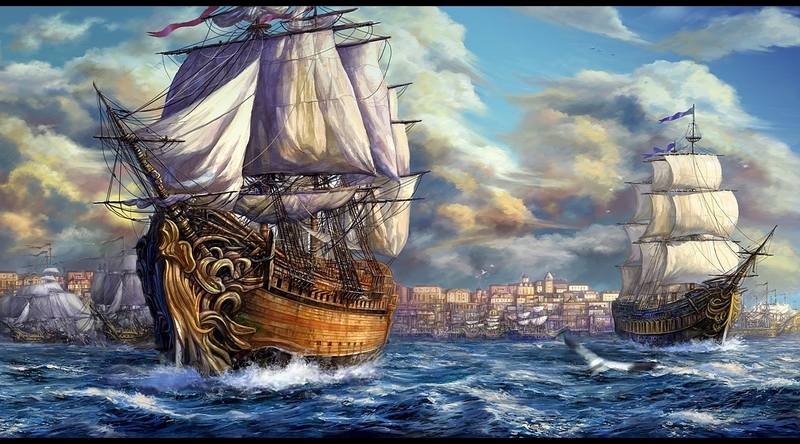 To sum it up short, we aim to set up a nation-wide economic and industrial network by setting up offices and workshops in various key locations and connecting markets with our transports, as opposed to the autarky common in medieval societies. We believe this will be of great benefit to the entire nation and ultimately, the entire world. A project like this will obviously require a lot of funding. We will have to purchase merchant’s wagons, set up offices and amass a core capital for our financial services, not to mention the initial costs of hiring guards and convoy drivers. And that’s just the first branch. The industry branch will require investments on a whole different level, with workshops and housing for our employees across the nation. With my Mayor pledge alone, that would be pretty much impossible. In a best-case scenario, I could set up the first branch if I had a few years. Years in which other merchants would get ahead of us and monopolise many of the local markets required for our network. Over time, we expect to attract more people willing to invest in our venture, given that it not only yields a direct share in the profits but also improves the economy as a whole. We also have several investors who do not wish to be publicly mentioned. Kurko, leader of a blacksmithing guild. Our entire operation will initially be located in the European kingdom of Nirath, but we plan to branch out into other kingdoms. Within Nirath, our headquarters will be located in the duchy of Asebe'ia Thunar. Given the focus on breeding, this location is ideal for our transport branch. Within the duchy, our central offices will be located in Wenport while our town(s) will be located in the county of Ascain. The industrial branches will be set up in the counties of those who decide to support us. However, our long-term goal is to build a network that includes the entire nation. 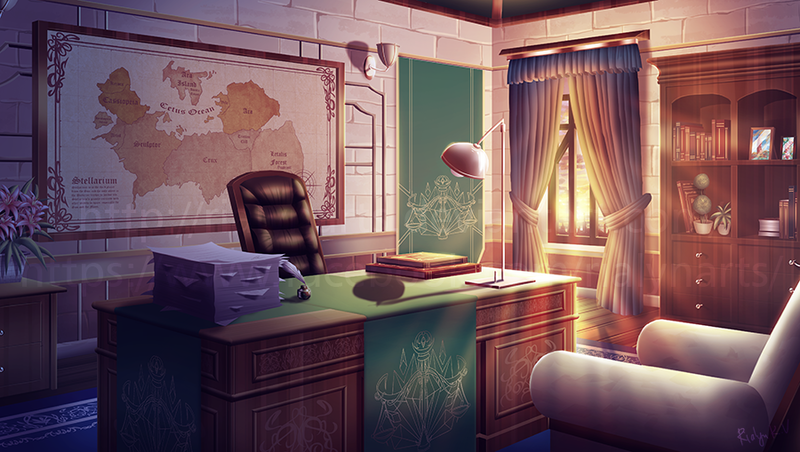 To achieve this, we will slowly expand our operations over the course of the game. Eventually, we want to be able to market our products and offer our services throughout the nation and after that, all of Elyria. We need managers to organise the complex, challenging economics and logistics that come with our project. As a manager, you will be involved in planning and maintaining our trade network throughout the kingdom and ensuring our resources are put to use as efficiently as possible. To be in charge of one of our branch offices, you will need social/diplomatic skills on top of that as to develop a social network among the local aristocracy and nobility. You don’t have to be an expert at the start, but without a willingness to learn the tools of the trade your career won’t advance very far. We need scribes to craft the multitude of contracts required for every transaction. As a scribe, you will be the one to ensure our offices can be supplied with the contracts they need to stay in business. We need travelers to lead our caravans full of valuable goods through the dangers that lie outside the walls of civilisation. As a traveler, you will be entrusted with the safety of our convoys. Through your efforts, every place from the most isolated towns to the large capital can be supplied with the resources they need. We need crafters to provide the supplies not covered by individual guilds. You want to be a crafter but you can't afford your own workshop? Mercator will allow you to rent one at a very reasonable cost. Under some of the counts who support us, you might even come to own the workshop. Meanwhile, you can also achieve a management position within Mercator Inc. if you decide to stay with us. Finally, we need warriors to defend the travelers and their caravans, the crafters and their workshops and the scribes and managers and their offices. This is organized through the Lions of Mercator, our paramilitary branch. While their primary duty is guarding our convoys and offices, these soldiers will also be employed as freelance security forces. This means you won’t be stuck with a boring job of guarding caravans for days on end with only the occasional bandit attack. Among other things, the jobs our soldiers can take include protecting VIPs, raiding bandit camps, clearing out dungeons and of course, supporting our king in times of war. If you want to know more, invest in the project or apply for any position, feel free to join our Discord. I'm honoured to be part of such a wonderful company. We have now officially partnered up with Pale Lion Mercenaries, who will henceforth be known as the Lions of Mercator. Oh, so that's how it works. That explains why I'm currently being chased through India by an elephant with a pink searchlight. I shouldn't have bought that pizza, but it's too late for that now. Can you meet me in Nepal? Cool for me, all of it looks amaizing for me. Probably one of the most ambitious projects I've seen and one of the most thought out, I look forward to seeing it in action.